Best Thang ‘Bout It: The writing is seamless and beautiful and the storytelling is amazing. The development of the characters is thoughtful and has plenty of depth. The historical aspect to this story, the connection to Death himself, and the magical aspects make an already good story great. The romance ain’t half-bad, either. I’m Cranky Because: Even clocking in at 549 pages, I didn’t want it to end. Thankfully, there is a sequel that comes out April 2, 2013. Should You? : Without a doubt. 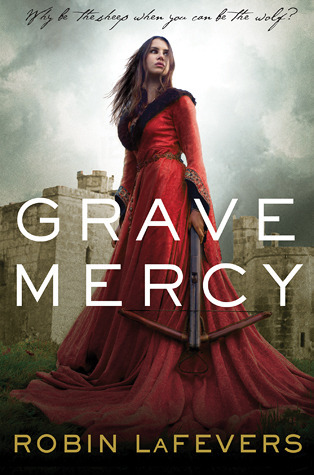 Grave Mercy was published on April 3, 2012 by Houghton Mifflin Books for Children.